In case you haven't noticed, Haley Joel Osment stopped being The Cute Kid in Forrest Gump a long time ago. Though he's generally stayed away from mainstream Hollywood blockbusters since his roles in The Sixth Sense and Pay It Forward , Osment has maintained what appears to be a career as a working actor since his days a child star, and has built up quite an impressive resume. Osment's not only seasoned film actor; he's also made a number of appearances on various TV series like Ally McBeal, Family Guy, and more recently, Entourage . Now that Osment's all grown up, he's dedicated himself to shedding his "former child actor" image. Osment's got a whole new look now. In fact, he's barely recognizable on the set of his latest film, Yoga Hosers. Osment seems committed to being taken seriously in Hollywood, and his latest projects prove that his plan to show everyone he's Haley Joel Osment the Grown Man is working. He's even got a beard now. 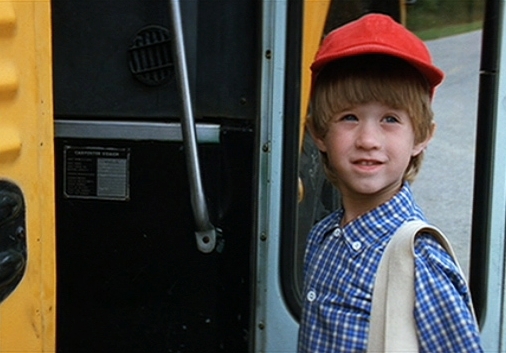 Osment played the small part of "Little Boy" in one of his earliest film roles. In this romantic comedy starring Jason Alexander, Osment plays Danny, and further cements his status as The Cutest Kid In 90s Hollywood. Osment stars as Albert, a young orphaned boy with an imaginary friend. Osment appeared as Tom Selleck's character's son in this made-for-TV Western. Osment lent his voice talents to the voice of Chip. You probably don't remember Osment appeared in this movie because he played a bear. Osment gave a very adult performance as an openly gay character. Osment made it VERY clear he's a grown up in this sci-fi thriller. Justin Long stars in this horror film/comedy/dramedy about a podcast who goes missing. Osment plays his best friend.